My legs don't half hurt, and I haven't had a run since Thursday. That's down to my latest running related acquisition a stick. Its a massage aid that seems to be highly recomended and allows the user to self massage deeply and work away at those tired and knotted muscles. I picked it up this morning and tried it straight away. Despite the soreness I'm impressed so far - I could feel the knots in my calf muscles and quads in the same way I do if I have a sports massage and hopefully repeated use will make a decent difference. Yesterday I nipped down to Sheffield to a new podiatrist. I've worn orthotics for 2.5 years now to help control my overpronation and knew I was due for replacements but I also wanted to see if I could get advice on lower leg injury prevention and see if new orthotics could help further still. I was quite impressed by a pretty thorough examination of my posture, gait and movements and was told that my fairly severe over pronation is compounded by a tendency to land on the outside of my heel exaggerating the movement and misalignment further. Apparently I also run slightly pigeon toed, have slight curvature of my shins and my knee caps move incorrectly as I run. Other than that, all's good. I'm a biomechanical freak. The old orthotics were confirmed to be worn out, crude in design but loosely effective in the past. £340 later and I have a pair of full carbon fibre orthotics on order that should be delivered by this time next week. Good news is that they should cure most of my ills. Bad news is that they will take up to 6 weeks to bed in and could cause some pain during the process. At least that will be out of the way pre-Paris. Other advice was to steer clear of hills or speed sessions for a little while as they will greatly increase my risk of injury in the short term. This was followed up with the advice that I should do runs of 13-15 miles for a few weeks before increasing mileage further. That throws up some challenges. My already 'marathon training lite' programme calls for a speed session a week and LSRs of 14, 16 and 18 miles over the next 3 weeks. There is a scheduled cutback week after that though. I think I'll stick with the LSRs as planned as Paris won't be put back a few weeks to wait for me but will make sure I stay close to the slow pace and not let myself speed up too much like I did last time. I will chop out the speed sessions though and replace them with easy runs of the same distance maybe with the occasional slightly quicker mile. Hopefully that'll get me through to the cutback week in one piece by which time I'll have the benefit of the new orthotics being fairly bedded in too. Despite the forecast bad weather, tomorrow's 14 miler is eagerly anticipated - I've put my kit out already - but I'm slightly anxious as it was 14 miles that marked the recuurence of injury in November. Fingers crossed. There is/was a programme on Channel 4 that I recently saw trailers for that features a group of slim people trying to gain weight. From what I could gather it was based on a theory that some people are just naturally thin or fat and with all the dieting in the world they'll never really alter what they are. I haven't bothered watching as it looked like a trashy tabloid style 'edutainment' offering where 5 minutes of interesting subject matter is stretched out to make a series (so I may have completely misunderstood the trailers), but it got me thinking. Today was a rest day and I was working from home. Instead of taking 30 minutes off for a sandwich I went for a walk instead and wondered, if we are naturally predisposed to be either fat or thin which am I? First up, I'm not sure I buy into the polarised view, though like most people I do know, or have known, people who seem able to eat anything and stay stick thin. At university, Mick, one of the lads I shared a house with had an appalling diet. He'd have a few slices of white toast for breakfast, something with chips from a cafe at dinner, a typical tea of a mountain of mash with a tin of beans and a large 'family' Fray Bentos pie and in between meals he'd eat biscuits, King Size Mars Bars, even the odd Pot Noodle. The only vegetables to enter his body were the green bits in the Pot Noodles. Mick played no sport and took no formal exercise. By rights he should have been the size of an American and suffer from scurvy but whilst he was slightly paler than a corpse he was also very, very thin. For me its never been quite that simple or easy. As a child I was active even through to 18 - sports and playing out most days, often walking to school 4 miles each way. I didn't eat perfectly but I was neither big nor small - just average. University saw me drinking heavily but I also stayed pretty active and once I'd left I still walked alot, went walking on the Dales, did manual work, cycled to/from work, even went on walking holidays and so on. I ate alot but stayed slim. Once I'd passed my driving test and then got an office based job with company car I began to steadily accrue blubber. About the same time our typical weekend routine ceased to be hill walking and instead became the more sedentary watching rugby league home and away. As I approached 28 years I found I'd reached 14 stone and on a whim (because one of the girls I worked with was a member) I joined Weight Watchers. Three months later I was below 12 stones. I stayed between 12 and 13 for the next 4 years or so, initially through watching diet and staying at the lower end and later I joined a gym and put on some weight in the form of muscle. When I changed jobs and moved house (away from the gym) my weight went up again. I was travelling most days from West Yorkshire to Northampton and back and lived off chocolate bars, crisps, buffets at meetings and fast food at the services. After 18 months of that I got a job near home but one where I parked outside the door and had access to a staff restaurant, vending machines and shop. By the time I was 36 my weight had peaked at 15st 11lbs. Redundancy gave me the free time to join a gym again and I shed a couple of stones over 4 months or so. The following year I discovered running and abandoned the gym almost immediately. Initially I was only running twice a week and then increased to 3 times, making the amount of exercise less than when I was using the gym. The difference was that running and races gave a new focus and weight became important for more than cosmetic reasons. After a few months I'd gone down to 12st 7lb, and had only added a few (Christmas/winter) pounds to that prior to marathon training starting at the beginning of 2007. Since then, as the posts below detail, my weight has been consistently higher and generally follows my running - when I run regularly it goes down or holds, when I stop it goes up. So where does that leave me? A natural bloater who only encounters fleeting successes despite a constant battle with weight? Or a svelte wannabe athlete often confounded by ill fortune and lard inducing work and lifestyle changes? I guess the truth is it isn't as polar as the programme suggests and I probably sit somewhere in the middle but I suspect I lean naturally more towards the slim than tubby. Sure, I have a propensity to gain weight in a way Mick never did but each period of weight gain seems to link right back to one or more changes in my daily activity levels and the more active I am the more self regulating my food choices and weight become. At the moment marathon training is giving me the tools and focus to bring my weight right back down to the level of 10 years ago and beyond and its partly for that reason I spent part of yesterday evening optimistically toying with the idea of an autumn marathon to follow Paris and Edinburgh. Nah, not out of the marathon - just full of food. Been a good weekend. I didn't run yesterday I just nipped into town, spent 20 mins on the x-trainer at the gym then did some lower leg weights, had a quick shower and a sandwich (not concurrently) and went off to Elland Road to see Super Leeds United beat Peterborough 3-1, then dashed back to Kirkstall for a couple of hours at a family friend's 60th birthday doo. Up early again today to squeeze in the final 5 mile run of my cutback week, home for a shower and drink then headed off to Bradford to drop the eldest at the ice rink (where Ellery Hanley is training for that celebrities on ice thing) for a birthday party while we went to Mumtaz for a curry. It may have screwed up my weight loss for a couple of days but poppadoms, pickles, salad, grilled prawns, chicken boti, nan bread, tandoori roti, vegetable karahi, Kashmiri tea and some weird desert (that contained kulfi and looked like a monster out of a 70s Doctor Who) was a price worth paying. Came home and had a couple of hours kip. I'll not eat much more today. I won't need to. Run was easy enough. I went faster than target easy pace again but not by as much - 10 seconds or so a mile. Damn muddy and slippy along that tow path though. 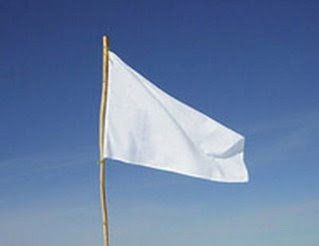 Thats the end of the cutback week - officially at least. The program normally calls for a 2-3 mile run on a Tuesday and in the cutback week that became 5 so I guess the cutback arguably ends Tuesday and didn't start until Friday? I am a bit sore though. I'm not used to weights and whilst I only did 1x20 or on some machines 2x20 my groin feels sore today from the adductor (?) machine. I've got decent flexibility there but I may have pushed it a bit too far combining stretch with weights. It'll fade though. Just not sure when I'll go this week as I don't want to be sore going into a 14 mile LSR. Its 14, 16 and 18 over the next 3 weeks. 14 is a well known quantity but 16 and in particular 18 mark the beginnings of the proper marathon training runs. Then its another cutback week before (from memory) 20, 16, 20 and then the 3 week taper. Feels alot closer now. Week tomorrow and I'm off to the podiatrist's. Its part for him to advise on how to prevent reoccurence of injury and part to check my orthotics. They're 28 months old now and probably due for a change. It could take 6 weeks to get new ones (longer if he wants some new temporary ones in for a few weeks first)so I really ought to have got this done earlier. Ah, well, you live and learn eh? Having packed in the grog and gone to bed at 10pm on the 31st I was up and feeling righteous on New Year's Day. I went for a run first thing. Normally a creature of habit I did 3 miles along the River Aire rather than the normal route along the Leeds Liverpool canal though the start point is the same and the two run pretty much parallel. Carrying the effects of a fortnight's Christmas gorging and pretty much out of the running habit for a couple of months even that felt tough. Low point was ripping a pair of shorts on some barbed wire, high point was seeing a small herd of deer in the woods. I'd seen deer on early morning runs in Scotland and in the Dales and knew there were deer even in the narrow corridor of green between Leeds and Bradford as I'd watched amazed as a young deer swam across the canal one summer lunchtime the previous year. I love seeing things like that when running. This run was the first of my Paris marathon training program. It was a truncated program of 13 weeks that I'd lifted from Runners World Smartcoach. As my running was disrupted and I was (and probably still am) frightened to death of injury recurring I slightly frigged the system by putting in a slow 'recent' time for 10k to calculate the pace requirements, pretended I'd been doing 20 miles a week and was rewarded with a fairly straightforward program of 3 runs a week - one long slow run, one speed session and one very short easy run. Probably not the sort of program to get me in peak shape but maybe easy enough to allow my underprepared body to adapt ok. The next day was the first speed session - a 5 mile interval run with 2 x 1 mile intervals. In theory it should have been a doddle as the pace for the 1 mile intervals was no quicker than a typical 5/6 mile run of October but I struggled and just about kept myself within 30 seconds of the target. Part of the problem was that my lower legs felt exhausted within half a mile. 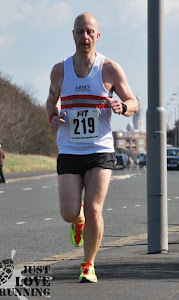 Its a long standing problem of mine that (apparently) my anterior tibialis muscles are relatively weak and after a break from running they struggle to re-adapt for a couple of weeks. Its also the root cause of the injury that messed me up after Paris in 2007 and that has frightened me to death ever since - that the overworked and inflamed muscles rub on the adjacent tendon causing ongoing pain that there is no quick and easy remedy for other than rest. The long run on the 4th was 8 miles and didn't prove too taxing. Speed (such as I had) might have gone but I still retained an element of stamina. The next week it was a 3 mile easy run, a 5 mile tempo run - which felt a little easier than the previous week's speed session - and a 10 mile long run which again felt pretty good. Week 3 meant another 3 mile run, a 6 mile tempo run (easier again) and a 12 mile long run. 12 isn't a daunting prospect but its in the ball park where injury flared up in the autumn so I was glad of the easy pace targets. The first couple of miles were very slow - about 30s a mile slower than target but without too much planning I speeded up after mile 4 and my overall pace finished up about 20s a mile under the target. I probably should have reined myself in a bit there and will do so with future LSRs but doing that one faster was good for confidence. It was completed pain free too which was a relief as I'd been imagining faint discomfort in my left lower front leg for a fortnight. I'm pretty sure I was imagining it as it hasn't got worse or appeared when running but I find I'm sort of listening out for pain there. That brought me on to this week - my first cut back week of just 3 x 5 mile easy runs. Tuesday's 5 was completed almost bang on to the pace target but today, despite it being cold, windy and wet I found I'd run some 40s a mile faster than I should. Again, I probably need to be a bit more cautious but it was nice that that pace felt very very easy. As well as the running plan I'm also losing weight. If all goes well I'll have lost 2 stones by Paris and a further half a stone by Edinburgh. When I lose weight I tend to lose very quickly at first - I know its not all fat by any means but its still a boost - and since the start of the month I'm down by a stone. I feel and look better for it and its probably linked to running feeling easier again too. Its a fine line though, trying to cut the calories while also upping the training. I've yet to reach the peak weeks of the plan but I'm logging all I eat or drink on www.weightlossresources.co.uk so I can watch my calories but also make sure I have plenty of protein. My one man assault on the EU pastrami mountain is a major feature of this. So all in all things are going well. I'm not counting my chickens just yet and blogging experiences since 2007 certainly underlines that training isn't always easy and dissapointment sometimes waits around the corner; but by my reckoning I have 30 runs between now and Paris and if I can get through the next 21 of those without injury then I'll be back on the Champs Elyses come the morning of 5th April this year. Fingers crossed. I only managed one run in the whole of January - a short jog at the end of the month. Once I'd decided to skip the marathon there was no obvious objective, besides which I was out of the running routine. I was also increasing my weight at a ridiculous rate: 4 weeks without a kitchen, living off takeaways and meals out was great at the start but I was sick of them by the end and there was alot more of me too. By the middle of February I was eating normally (and losing some weight), enjoying a lovely new kitchen and began to run again. They were short, slow and felt hard work but I was back on track. Weight fluctuated over the next few months, peaking after a week in Rome after Easter, but generally being between 13 and 14 stones. Heavier than I wanted by some way but sometimes feeling hopeful. Running improved both in speed and disance and there were no injury problems. 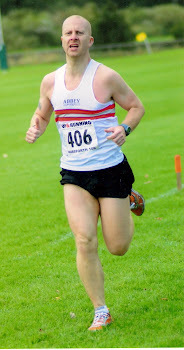 I lapsed for a couple of weeks on 3-4 occassions but always came back with no ill effects and probably maintained some sort of running routine quite well considering there were no races entered or club to run with. A fortnight in Kos at the end of July disrupted running again and, unsurprisingly, added more than a few pounds too but with summer holiday out of the way the start of marathon training for Paris 2009 was just about visible on the horizon and I began to hatch my plans. I began running again at the start of August and things went steadilly well. I worked out my 16 week plan would commence on 16th December and planned to build a good base and get my weight down to 11.5 stones by then. I also stopped drinking alcohol, initially with the intention of being 'dry' until my birthday at the beginning of November but by then I felt no desire to start again. The weight loss progressed but not at the right speed. The running itself went better. I had the aim of doing 3 runs a week at first, building to 4, plus a 2 mile jog with my eldest daughter. Mileage would quickly go up to 20-28 miles a week with a couple of 15 mile runs before December 16th and weekly 10 - 13 mile long runs. By the middle of October I was comfortably on track and probably running as quickly as I'd ever done. Even though I was still just over 13st I'm pretty sure I'd have broken my 10k PB with relative ease had I raced at that time. I struggled with a bit of pain in my inner left thigh at the end of the month, which mirrored some pain I'd had over the winter of 06/07, which forced me to cut back a bit. We went away for a week in Scotland at that time and I had fancied doing a couple of long runs on the West Highland Way but in the end setled for a slow, painful, hilly 5 miles on some forest trails north of Drymen. Nice views though. Unsurprisingly the meals out also took their toll but a visit to Edinburgh convinced me to enter that city's marathon for 2009 too. Still, on the 9th November I did 14 relatively easy feeling miles at a reasonable pace. From about 6 miles though I'd been getting pain in my left lower leg in exactly the same spot I had pain in 2007, an injury which disrupted my running for sometime afterwards. The next day I did a 2 mile jog and the pain was there again from the outset. I decided to head for the physio and made an appointment for a week later and didn't run before. By the time of the appointment I was pain free and the physio simply advised that I take it easy for a couple of weeks then maybe cut back on speed and distance whilst re-starting the exercises the podiatrist had prescribed the previous year and which I'd neglected for a while. With the halt to the running came a halt to the weight loss and my weight began to creep steadilly upwards. I did run again on the 30th of November - just 4 miles - but didn't follow that up as running lost out to a range of other distractions: work, decorating the bedroom in the newly completed loft conversion, cooking and freezing the curries we were having for Christmas dinner, assembling a range of wardrobes, beds, cupboards, Christmas shopping and wrapping and so on. I also came down with a heavy cold in the middle of December that took several weeks to properly shift. The starting date for marathon training came and went but I didn't run again until, ironically, Christmas day when I managed (on a whim) 3 flabby miles along the canal. The cold came back with a vengeance and that 3 miles proved to be my last run of the year. As is always the case things didn't quite go according to plan last year. At least not marathon wise. 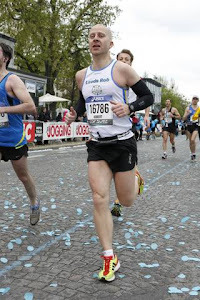 As planned I entered the 2008 Paris marathon as soon as registration opened. I was running pretty well again and was pain free. The weight that I'd gained whilst injured was coming off steadilly. As often happens though, life was soon to get in the way. In the middle of October 2007 I was down in Eastbourne & Brighton with work. I arrived in Brighton late afternoon and decided to go for a run along the front. It was warm and bright for the time of the year but even taking that into account it felt incredibly tough. I had to stop at half way, managed only 4 of the 6 miles I'd planned and felt shattered. By 10pm I could hardly manage to walk shakily up a flight of stairs. I got home ok the next day, albeit that I felt awful, and then spent the next 7 days in bed. I tried running a couple of times in the following fortnight but my heart was racing and I felt sick and wobbly within yards. I did manage a couple of jogs in the second half of November but at the end of the month we moved house and the week or so either side of that were busy enough without running. I did get a couple more runs in around the middle of December but then came down (like the rest of the population) with the winter vomiting bug. Out of the habit of running and with plenty to do I didn't run over Christmas. By the end of the 1st week in January I'd put on all the weight I'd lost (and then some); had hardly ran in the previous 12 weeks and we were about to have a month's disruption with a new kitchen fitted, new flooring laid throughout and new ceilings put in downstairs. With focus I probably could have got myself into shape and ran in Paris but I didn't feel focussed and didn't want to just complete the event - I wanted to do myself justice. I wrote off the 2008 event.